Do You Really Want to Start With Me? Dakota: "What are you not getting about 'leave me alone?'" Here we are back in Gift Horse Land. 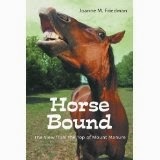 With the Holidays upon us, and horses cheap or free all around, new horsemen are bound to follow. Give the kid a pony for Christmas and watch the hysteria. Joy to the world! But while you're at it, especially if you're not an experienced owner yourself, there's much to be learned about how not to un-train that well-trained animal lurking in the shadows eating the bow off its tail. Of all the very important primary lessons all horsemen need to master, somewhere near the top of the list, bolded and bulleted, should be “Pick Thy Battles Wisely”. Starting something you can’t finish, launching an argument you can’t win, is an absolutely sure way to cause more problems than you can shake a crop at. If you can't beat 'em, finesse 'em. Every horseman eventually hears the rule that one should always end a lesson on a good note with some acceptable behavior on the part of the horse that can be rewarded by the trainer (even a very small trainer) before the two part company for the day. Often this means giving up for a time on mastery of a complex behavior and settling for one small part of it. An inch is as good as a mile if it’s all you’ve got. If Muckraker is willing to put one foot on the trailer when yesterday he refused to look at it, you’ve won a small victory, and that is to be celebrated all around. Scenario I: Most often the rider is thinking about how stupid he looks to the throng gathering at the rail to witness his failure as a trainer, a rider, and a human being. This is a very bad place for a horseman to go. Sure, we horse people like nothing better than to watch and laugh at someone else’s bad decisions. It’s how we learn and how we feel better about our own mistakes. This habit only becomes a problem when the horseman in the spotlight takes seriously his or her need to look impressive. Psychologists call this “negative self-talk”, this moment when we absorb the disapproving looks, words and gestures of other people and internalize them, adding our own pile of baggage to create a monster. “She said I’m an idiot, that no one with a brain would let a horse get away with ____________. She must be right. I am an idiot! I need to be tougher. I’ll show this horse who’s in charge around here!” The snowball gathers momentum, and soon horse and horseman are engaged in a pitched battle that can’t possibly turn out well because the focus is all wrong. Scenario II: Sometimes the horse person is in the throes of Famous Clinician Fever. She’s gotten a set of DVD’s for Christmas or perhaps has spent some in-person hours watching an un-broke colt be saddled and ridden in under 20 minutes. Aflame with dedication and the passion of the insane, she heads for the barn where she will whip her recalcitrant mare Cheesequake into shape using all the techniques she thinks she learned. She’s missing vital points, but she won’t know that until she’s lying on the ground furious at her laughing equine buddy and hoping someone's cell phone has bars in the indoor.. Scenario III: Often the horseman is simply in a bad mood, and Mudbug has gotten on his last nerve. A bad day at work can easily mutate into a bad horse day. The horseman arrives at the barn, hoping to regain some semblance of sanity through a calm hack on ol’ Mudbug, but MB has other plans. He’s grazing in the pasture with his buddies, it’s close to dinnertime, and he is looking forward to nothing more than to be left alone. Horseman grabs a lead and tries to drag Mudbug toward the barn, and Mudbug resists. A fight ensues. A 200-pound horseman can’t possibly manhandle a 1200-pound Mudbug into the barn, so guess who wins. The trick to remaining on the high side of this crazy business is to plan ahead and be flexible. 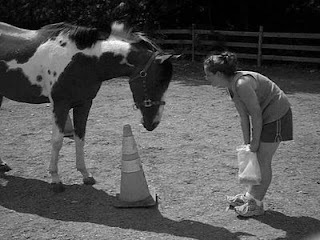 Keep in mind that every time you interact with your horse, you are teaching him something and learning something. What you teach him may not be your intended lesson. Mudbug undoubtedly learned that he can drag his human companion around the pasture at will. Cheesequake learned that interactions can be scary and confusing, so she won’t likely be as willing to play the next time her human wants to test out new learning experiences. Your horse may learn that he doesn’t have to get on the trailer, that you can’t hold him if he runs through the lead, that you are soft and squishy and fun to toss around, or that his four feet, planted firmly, trump your two and all the maniacal gestures and foul language you can muster. Go see your horse in a calm frame of mind. If you’re too angry or frustrated with your life to be rational and relaxed, you don’t need to do anything more than give him a carrot and watch him play in the pasture until you’re feeling better. If you’ve got it in your head that you can bully your horse into behaving the way you want him to, you are doomed. Finesse, dear horse friend, is the answer, and that only comes with total focus and an accepting attitude. A battle lost is an okay thing if something positive comes from it, but a battle avoided is even better. Aim for controlled, simple interactions, and let what happens happen. Opt for safety over style and sanity over the applause of your friends. If Mudbug doesn’t want to play today, change the game. Make him think it’s his idea. Grab him by the collar of his curiosity, and he’ll be putty in your hands. Turn off your ego and set a spell. It’s win-win kind of day. Day in Court and Should You Fall For an Old Guy? As the Rescue Turns: A Day in Court for the Horse Angels' "Fearless Leader"
For those readers who have denned up early and missed the drama, back on December 3rd the State of NJ Attorney General's office sued The NJ Horse Angels and their trustees, Sharon Catalano-Crumb and Frank Wikoff, for misappropriation of funds. Of the $145,000+ that was raised in less than a year by the group, roughly $61,000 went for non-horse-related (unless there might have been some OTB going on down in the Big AC between visits to the slots and the tables) expenses, gifts, and general hoo-hah already detailed in multiple news articles. I'm bringing the insanity to the fore again today because what hasn't hit the paper yet (but is probably in transit as I type) is that yesterday the case went to court. Ms Crumb, for some reason believing that her financial records might mystically disappear or morph into something less incriminating, held her ground and took the case and our tax money all the way to the courthouse...and lost. The State, under the fine hand of DAG Anna Lascurain, won a nifty victory over evildoers, not just in the form of the erstwhile Angels, but as a slap aross the face and a loud Watch Your Step to anyone in the charity biz thinking about diverting funds, losing touch with accounting skills, or otherwise not taking the high road. The State will take away all of the ill-gotten gains and anything else that comes from that ill-getting, in perpetuity. Ms Crumb and all her little aliases will never again be allowed to dabble in charity work, faux or factual. The news and all the gory details will travel the interwebs unrestrained forever and a day to haunt her and her offspring. And other Angels will be suspect no matter how pristine their wings. Maybe you’re a beginner rider. Perhaps you’re the parent of a horsey child who really wants a horse but isn’t accomplished enough to take on the challenge of a young, green animal. Or you could be an older rider returning to the sport after a long layoff or simply looking to cut down your trips to the ER a bit. All of these are suitable reasons to look for an older horse to buy or adopt. In the current depressed horse market, older horses are getting more and more common, cheap or free, in the marketplace, so they are a definite option to consider. No matter how accomplished a rider you may be, eventually the time will come when you will see the reason behind the high prices for “packers” and retired schoolies. A horse that has been there, done that, and lived to tell the tale generally has sophisticated manners and an understanding of the meaning of “less is more”: Less bucking and fussing = less energy expended and less retraining time = more time for grazing and hanging with the herd. We humans learn this eventually. Young horses take some educating before they see the light. In fact, according to a recent study, young horses don’t learn anything as quickly or with such enthusiasm as their older counterparts. Of course there’s an age limit you will want to consider, and it varies depending on the discipline you intend to engage in. 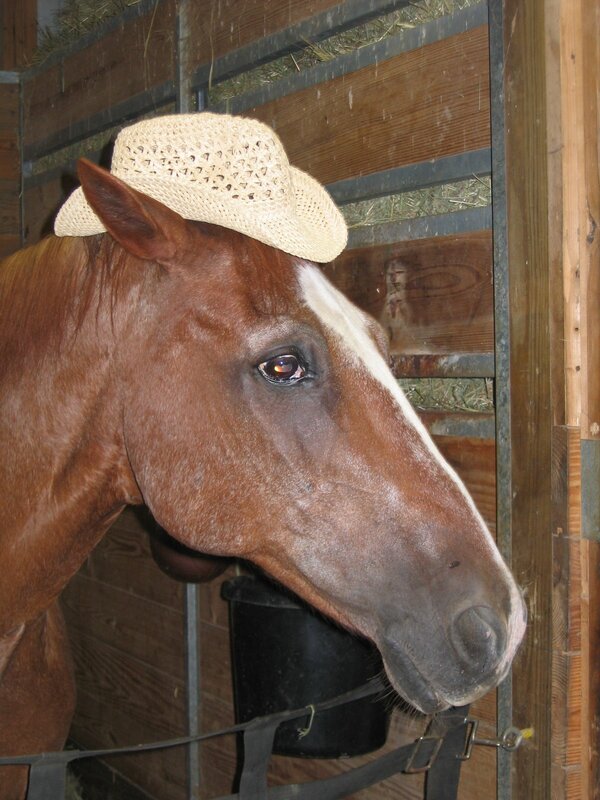 By veterinary standards, any horse over 18 is “aged”. By some vets’ standards, that age drops to 15. Sanity generally strikes around 12 in even the most fractious saddle horse. So when we talk about old horses, we’re looking at animals 12 years old and older. But how much older? We all know of horses who continued their fox hunting or jumping or dressage or cattle driving careers into their mid-twenties and older. They certainly do exist, and a lot of how well they hold up depends on what’s been done with them during their lifetimes. There are certain sports which have been identified as strongly related to early break-down of the hocks and stifles in most horses. Reining, barrel racing and dressage—any discipline requiring serious collection and rocking back onto the hindquarters—are among those. Generally when a horse reaches 20 he has begun to show signs of aging regardless of his life’s work. Gray hairs are insignificant. Some horses roan out early, and it means nothing in terms of their ability to perform. But there are other signs that are significant indeed if you intend to continue the horse in some sort of work beyond quiet trail rides. For instance, a sway-back is not unusual in all very old horses, but the dipping of the spine and stretching of the ligaments and muscles that cause it will happen earlier in a horse that has worked hard its whole life or has essential conformational problems. Most over-20’s will show signs of arthritis in their leg joints—pasterns and hocks in particular—but severe arthritic changes are visible in x-rays of horses used in those high-collection sports mentioned above. With arthritis of the hocks comes the process of “fusing” The hock joint, which is actually made up of several smaller joints, will begin to solidify, the cartilage hardening and causing pain and lameness until the process has come to a conclusion. A horse with fused hocks will still be useful as long as collection and sudden stops aren’t required. His movement probably won’t be pretty, however, and he may be reduced to only one canter/lope lead or none at all. If you are okay with owning a walk/trot horse, then you can up your age limit from 12 to 20-something and still have at least a few years of riding time, perfect for an older rider who is close to retirement from the sport. Pastern joints that are painful are a bigger problem. Hard-ridden horses may not seem lame when paraded by for the buyer’s approval. If all four legs are equally affected, his gaits may be stiff, but unless the buyer is familiar with the horse, that may not be noticed. Since almost all older horses will vet out with some sort of arthritis, x-rays are vital prior to purchase. The degree to which the changes have occurred and the rapidity with which they continue are important in determining how long the horse’s useful life might be. If you are buying a 12-year-old, you know you may have as many as 15 good years of riding ahead if he’s been well-cared-for and not over-worked. If you buy a 15-year-old, you get the extra sanity at the expense of fewer years of work time. While it’s possible for a rider to break down even a younger horse with hard riding, it’s absolutely guaranteed that an older animal is going to go down faster. So as you consider taking Uncle Bo home with you, keep in mind that with lameness comes lost riding time. If you board out, that may strike you as financially illogical. With illness comes vet bills and possibly long-term medication and an increase in labor just to keep your buddy alive and out of the vet clinic. Just as humans become more difficult and more expensive to maintain as they age, so do horses. The take-away message here is simple: If you know the horse’s history (not always available in any honest representation from the current owner, let alone with a rescued animal), and you understand that you may have limited time with your new best friend as a working team, and you can afford the care that an older horse requires, then you can’t do better than to buy a horse with the savvy to keep you both safe and sound. But if you quailed at any of those requirements, then think twice. Buy a 20-year-old now, and in two years, when he’s 22 and perhaps is beginning to show a hitch in his gitalong, he’ll be a hard horse to place in a good new home. Think seriously about your feelings toward spending board money to keep a pasture pal with no riding possibilities. Consider what measures you’d be willing to take when your new buddy is no longer capable of participating in your discipline of choice. Horse rescue sanctuary facilities are overcrowded with beloved older horses whose owners didn’t think through the endgame that would be facing them. Be part of the solution, and opt for an aged horse only if you are willing to do the job to the end. If you are, then there is no better companion than a calm, quiet oldster whose eyes light up when he hears your voice. Believe me, as owner of three geriatric equines, I know the value of that soft whinny in the distance. It’s priceless. Duke "should" eat Dillon, but there's no accounting for taste. 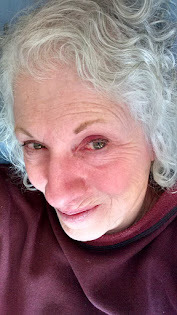 I can still see her in my mind’s eye, her face red with frustration, glaring at her young gelding across the barnyard. “He should know better by now!” she fumes. The “she” in the picture is yours truly. The horse’s refusal to walk quietly on the lead was the behavior in question. The statement was pure idiocy. Zip was three and had been handled, by me, since birth, and after such a long training period, one would have thought he’d have learned not to pull the lead out of my hands. I was furious. He was laughing. He would have known better if I’d taught him better. I would have known better if I’d paid closer attention to his body language and the setting around us. The point is, we were two animals capable of learning and capable of teaching but unclear in our goals and bound up by expectations. If there’s anything that contributes more to abuse and frustration in the world of horse and rider training, it’s the word should. He should be more forward, walk freely, stop standing on my foot, not mug strangers for treats, avoid beating up the older horses in the pasture. I should be thinner, smarter, more balanced, confident that my horse won’t try to kill me. But without some sort of direction, no horse or rider will reach any goal except by chance. All animals learn in basically the same way. We do something, watch what happens, and if there’s a reward, we do that thing again some other time. If there is no reward, we may or may not repeat the behavior. If the result is negative, we are still likely to repeat the behavior because most of us aren’t sure that we see a connection between what we just did and what happened. The first time you call your horse in the pasture, and he ignores you, you call again. And again. You may not make the connection between his refusal to come to you and the fact that you left him sore or frustrated the day before. He should come to you. That’s your expectation. In turn, the first time your horse refuses to come to you in the pasture, and you call again and again, he may or may not make the connection between his decision to ignore you and the anger that he can hear brewing in your voice. You should know that he’s not interested in being worked today. You saw him flinch when you brushed him yesterday after your ride, so you should know that he was a little sore. What’s lacking in this simplistic scenario is real communication. You’re both communicating, but neither of you is doing so clearly enough or in the right medium to allow the other to understand. If we take the should out of that scene, we also remove the frustration. We have the opportunity, then, when our expectations are more realistic, to assess the behavior and determine how best to modify it. The term behavior modification is familiar as it is used regularly in educational and therapeutic settings. Training is both educational and therapeutic. In order to modify behavior it is necessary to figure out exactly what the behavior is. That’s not as simple as it sounds. Zip running through the lead had at its root his essential being. He happens to be a horse with a sense of humor. The first time he ran through the lead he did so because he wanted to go out with his herd mates, not work with me. He didn’t actually win that battle as he was still stuck in the ring and still had to work, but he did earn a short period of pure humor as I followed him around trying to catch the end of the lead. He never moved farther than lead-rope distance away, which was a dead giveaway that there was something more going on than an attempted escape. Had I been paying attention instead of “should-ing”, I’d have seen that. Instead the behavior became a game that was repeated ad nauseum until I caught on and ended it. Rider training works the same way. A trainer shouting down a student who can’t remember diagonals or who persists in bumping the horse in the mouth with hands that are too busy isn’t teaching that student anything. Get rid of the should, and among them the student and the trainer and the horse may be able to determine the cause of the problem and find a solution. There is always a cause. This advice is doubly important for rescued or recently-acquired horses. That a horse has survived to the ripe age of, say, 14 years, doesn't mean he's at the same training level as the other 14-year-old horses you've known. To assume that your new BEFF (Best Equine Forever Friend) is being stubborn or has residual issues from prior mishandling, real or imagined, is to ignore who the animal truly is and where you need to begin with his training. Training is ongoing, for you and for Sparkys Misdemeanor. You say "Whoa! ", he says "Wha...?" and walks through the lead. Could be misbehavior but it's just as likely missed communication because he speaks Natural Horsemanship or was raised in a foreign land (like Pennsylvania or Texas) and just doesn't understand your cue. It never hurts to start from scratch. Never. There is one area where should is a very important concept, however, so let's not ignore that. If you are dealing with a horse, old or new, and there is common horse behavior that you expect him to exhibit which he is not exhibiting, that may be cause for a call to the vet or to a horse professional of some other ilk. Horses should eat. They should drink. They should like to amble around the pasture and nap in the sun. They should look worried when something new appears in their comfort zone. If Sparky is missing any of these behaviors, then concern is valid and calls should be made. One final caveat: There may not always be a successful solution. If you approach each training situation with an open mind and a willingness to work with the horse toward a compromise and recognize (and admit--that's the hard part) that you share the problem equally, that’s as successful as most of us will ever hope to be. No one, least of all honest people who, in a tough economy, send open-hearted donations to charities they believe are in the business of helping the unfortunate, likes to hear that their money has gone astray and their good intentions have been subverted. Sometimes stuff like what I'm going to share here shakes us to the bone, leaving us wondering if there's anything people won't do to each other for the sake of greed. The answer appears to be, "No!" For several months, the State of NJ's Consumer Affairs Department of Charity Fraud has been meticulously scouring hundreds of documents (the paypal transactions alone numbered over 2000) released to them by the principles involved (usually after an unpleasant encounter with a subpoena, but sometimes voluntarily) doing what is known in the parlance as a "Follow the Money" survey of the facts surrounding the grand horse rescue effort that took form on Facebook under the fine hands of Sharon Catalano-Crumb, the NJ Horse Angels, the Camelot Horse Angels, and various other combinations and permutations of those names. What I have on my desk right now is about 40 pounds of paper representing the public record of that investigation. In summary, this woman and her cohort--her live-in boyfriend, her imprisoned felon son, that son's childhood buddy currently on probation, and the cadre of rabid fans she gathered around her to protect her from scrutiny--launched a campaign in September of '09 which raised "at least $145,132.08 purportedly to rescue horses from slaughter between September 2009 and September 2010" [p 2 of 28 of 12 3 10 Filed Verified Complaint against SHARON CATALANO-CRUMB, individually and as a trustee of NJ Horse Angels a/k/a njhorseangelsrescue.org a/k/a NJ Horse Angels Rescue a/k/a NJ Killpen Horses ... Horse Angels of Facebook a/k/a Camelot Auction Horse Angels a/k/a The Forgotten Angels, FRANK WIKOFF, individually and as a trustee of NJ Horse Angels a/k/a njhorseangelsrescue.org a/k/a NJ Horse Angels Rescue a/k/a NJ Killpen Horses....Horse Angels of Facebook a/k/a Camelot Auctoin Horse Angels a/k/a The Forgotten Angels, NJ HORSE ANGELS, NJHORSEANGELSRESCUE.ORG, NJ KILLPEN HORSES....HORSE ANGELS OF FACEBOOK, CAMELOT AUCTION HORSE ANGELS, THE FORGOTTEN ANGELS a New Jersey non-profit organization, defendants]. That's a lot of cash. It's a lot of coffee money. It's a lot of Oh, the Poor Baybeez! And it's a lot of scam because though some of the donations did, indeed, go to the intended purpose (assumed by the State because evidence to the contrary has not yet been uncovered), there is documentation to show that by shifting cash through two different paypal accounts and in and out of personal checking and savings accounts, some $60K went for such intriguing "rescue costs" as charitable contributions to casinos in Atlantic City, an aluminum wheelchair for a dog and an electric one for Frank Wikoff, a TrySensa.com weight loss program, two (guess that's one for each hand--balance is critical in bling) rings for Wikoff, phone cards for Christopher Crumb (guess he needed to call his mom from prison more often), heating oil, rent, and on and on and on. Another $9000 is MIA. Now, there has been a lot said on all sides of this case over the months since the fraud was uncovered. I know there are still hangers-on who believe that their Fearless Leader only spent a few dollars on herself and that was a simple error in judgment. The other charities that funneled donations through the Working4them paypal account are, I would imagine, a little sheepish about now, particularly the ones that ranted at length recently about the donor being responsible for vetting out the charities before sending money while at the same time listing the Horse Angels as a chosen and supported friend. Believe what you will. A pizza delivery paid for out of the personal account that the paypal funds were funneling to prior to the opening of the Horse Angels' business account may have been an error in judgment. It's awfully hard to just write off the rest of the expenditures with an "Oops! My bad..." defense. I would dearly love to share here all the gory details, but the .pdf files I have are view-only, so cut-and-paste is out and I'm not enough of a Horse Angels fan to retype 60 pages of court documents. The paperwork is available to the public, and I urge anyone who's interested to call the NJAG's Press Office at 973-504-6327. Please do NOT call the attorneys involved. They are busy people with bigger problems than this one on their plates and, thanks to the phone/email/snail mail campaign launched a few weeks ago at the behest of someone who knew what chaos it would cause, those busy people are short-tempered these days on this subject. 71. 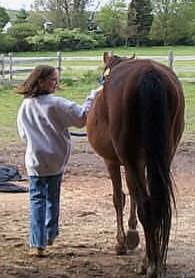 In addition, on at least one occasion, Crumb and the NJ Horse Angels specifically solicited and raised funds for veterinary care for rescued horses. 72. On at least one occasion, Crumb and NJ Horse Angels refused to pay for veterinary care, despite having solicited and raised funds for veterinary care, purportedly because the NJ Horse Angels had no funds available to pay for veterinary care. The papers read like a Who's Who in the Camelot rescue biz. As I type, I'm hearing that the media have already got the story. Google it. Try and of the names above. You'll be enlightened, I guarantee. Lehigh Valley Live online has the full report. ABC News has contacted the Press Office. Others will follow. This is one pony tale that shouldn't be ignored.